The strong rise in the U.S. stock market since the spring and the return to positive economic growth in the third quarter of this year have created a consensus among economists that the Great Recession is very likely over. Unfortunately, the end of the official recession will have little visible impact on U.S. labor markets until almost 2012. 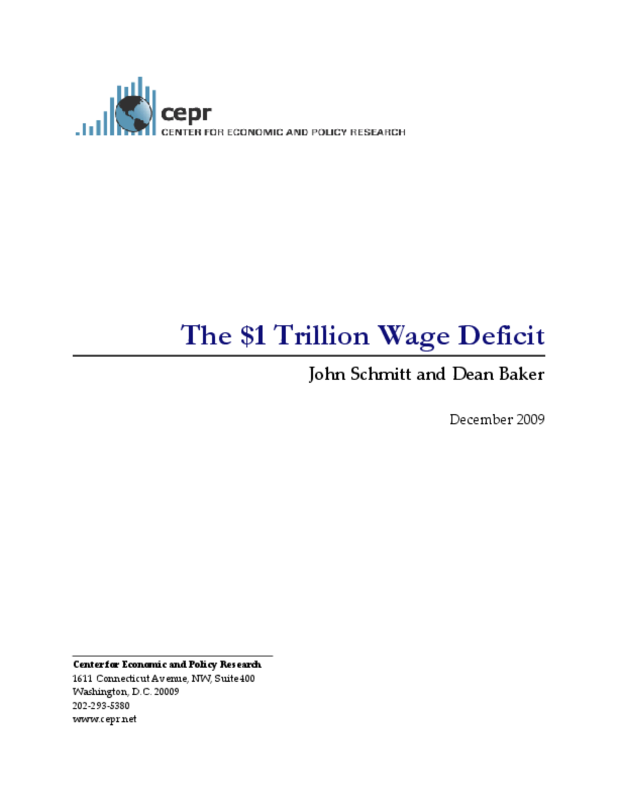 Within that time, this paper estimates that U.S. workers will have lost over $1 trillion in wages and salaries, $150 billion more than the 10-year costs of proposed health care reform legislation.